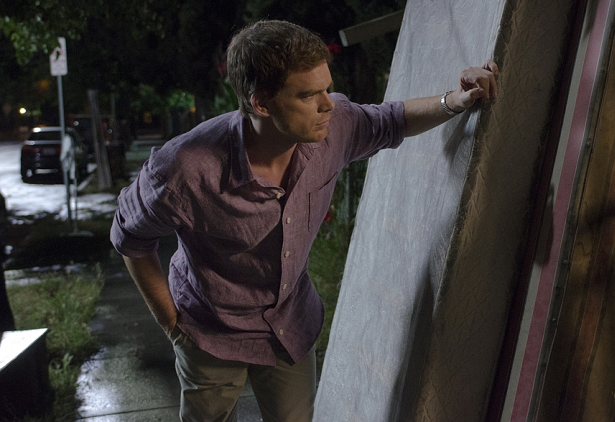 Episode 6 of the 7th season of Dexter begun production yesterday. The episode will be called "Do the Wrong Thing" and airs on November 4. Does anyone know where that picture is from? I believe it's from season 6. From a show called "Dexter"
The picture is from season 6 episode 2. By the pace this is going, when the show finally airs, they'll be finished with the filming. Uhm... yes. Of course. What did you think? I didn't know. Watched seasons 1-5 in 3 weeks to catch up with season 6, so I wasn't reading spoilers then. Well, in the past the show has typically began airing before they are done filming. They usually wrap shooting in mid/late October.